Me: Is my makeup creasing? My Husband: I don’t know what that means. Nick, what does “creasing” mean? Nick: I don’t know what that means. When I finally found an answer, it was no. Melting makeup was definitely a concern when you’re at a wedding all day and most likely into the night. I applied my makeup at 8am and didn’t get home until midnight. 16 hours and no creasing! Or Kapeeshing! 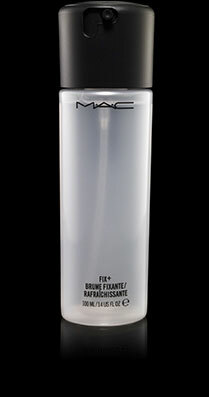 The MAC Fix spray is worth every penny. And it’s only $10! To pull off a lot of dramatic looks, its important to have your face correctly balanced by your eyebrows. They naturally frame your eyes and just as important as every other makeup step. Plucking, trimming and waxing can be overwhelming. If you’re uncomfortable with finding your shape, get them professionally done. After that, you will be able to maintain your look easily by plucking and slight trimming if necessary. You don’t want your brows to be too thin, sparse or look drawn in. I use brow powders and brushes for my every day looks. Get a color close to your hair color but a little lighter. 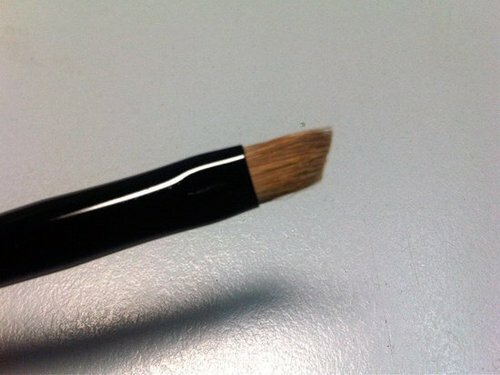 Use an angled brow brush. A little at a time fill in your brows starting in the middle and working your way out. Don’t go outside your natural brow line. They may look a little dark without your eyemakeup completed. Finish your look before correcting at the end. 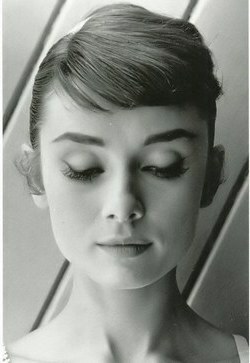 If they still look too severe simply use a brow brush and gently sweep over them until they are toned down. If you accidentally brush outside your browline, correct with a dampened makeup sponge. Just like a bad hair day, your brows can sometimes be unruly. To quickly and easily correct, try a brow gel. Its like mascara, but clear and for your brows. Use lightly over your brows. 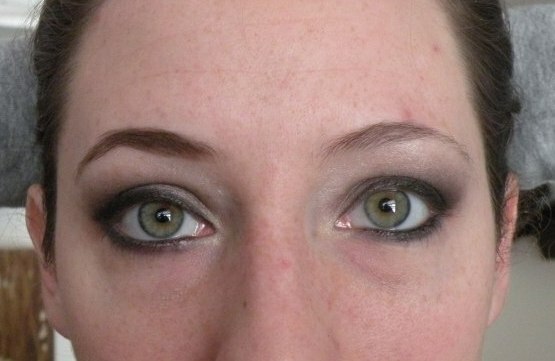 A brow filled in versus a natural brow. Bold eyes need to be balanced and framed by a bold brow.